Since it’s getting cooler and winter will soon be on it’s way, we decided to get Boncuk a new kennel today (pay day, woo!) It’s second hand from the vet but looks new and was a good deal! 150 lira, paying in two installments. It took us ages to position it right so it would be shaded and secure, it is super heavy! I think we’ll need to cover it with something to make it completely waterproof, we’ll find something. Boncuk is a happy doggy, it’s so much more satisfying spending wages on her than ourselves, oops! Oh, she doesn’t sleep with you at night? It’s a really smart kennel. Has she been inside it yet? We bought one for Poppy to go on the balcony last year, so that she could stay warm if we were out all day and didn’t want to leave her in the house. She was terrified of it, so a couple of months later we returned it. Fortunately we bought it from our vet who was happy to take it back. Yes she has been sleeping in it today! 🙂 We were on our way out and Berkay whispered ‘Boncuk…’ and she popped her head out to say hi haha, think she loves it. 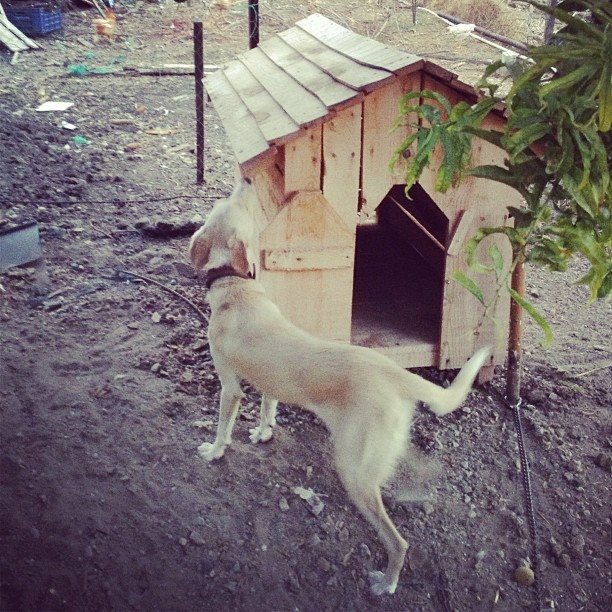 She’s always had little houses but ones that Berkay made, so she’s used to it, just not fancy ones. 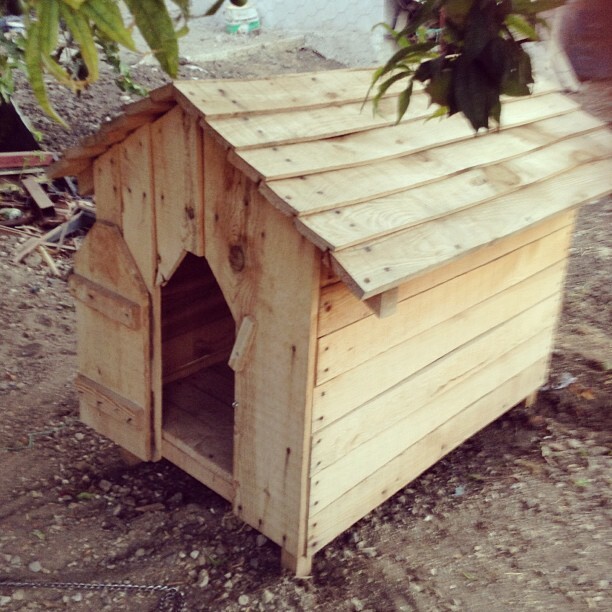 I have 3 huge dog kennels made by a marangoz friend of mine. This means two dogs go into each one and they keep warmer this way. Also, I had some quilts made for them in Soke, nice padded cotton. I always worry that my dogs are not warm enough in winter. If it is really cold, I bring all of them in to the kitchen and then spend hours the next day hoovering and steaming the floor and carpet!! !I am glad Boncuk likes his new abode…. That’s sweet! We gave her a few towels and blankets to snuggle with last winter but she dragged them outside of her house and refused to sleep with them, I was worried she’d be cold too but I guess not!